Germanischer Lloyd is one of the most reputable German technical firms involved primarily in marine activities. It began to work late 19th century as a ship classification society but gradually expanded its activities to include industrial inspections and certification of products and systems. GL has been active in Iran for almost four decades but became more and more active after the Islamic Revolution. Recently its activities in Iran have become even more serious since it formed a JV with a professional Iranian firm of similar expertise. 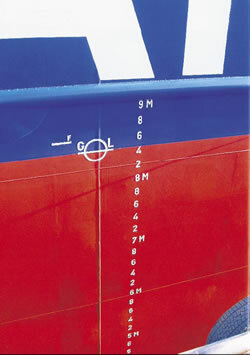 Events: Would you like to begin by giving our readers an account of GL's activities in the shipping industry? Hermann J Klein: GL is active worldwide as a classification society and was founded in 1867. This means we have a lot of experience in this field, over a hundred and thirty years of experience to be exact. And we have stations and offices in more than one hundred and sixty locations worldwide. Our headquarters are in Hamburg, Germany, where we work with one hundred employees, mostly engineers. Classification means ensuring that sea vessels are in good condition and it starts at the very beginning of a shipbuilding project. We try to support the shipowners, at this stage, but also help the shipyard to achieve a good design and use the most modern technology, and we are aware of course that a ship that is ordered to be built at one of the shipyards worldwide has to be used profitably. So, we support the shipowner and the shipyard and this means that at the design stage we check all the relevant design drawings, according to our technical rules as to how to build that particular type of ship. Additionally, we support the production process through our engineers in the shipyard, i.e. we help the shipyard to check the whole production process. We check to make sure if the right welding process is used and we also check all the materials and components supplied by the shipbuilding supply industry. For example, the main engines, the propellers and all the other components required to build the ship, are carefully checked. So, the supply industry worldwide, and the sub-suppliers and a lot of different companies are involved in this process. It's very important to make sure that the quality of the components is to the highest level so that we build ships which can be operated profitably. It is a very complicated process to check all the components and to check of course the product when it is finished. Therefore, as I have already explained, we have stations or offices in more than one hundred and sixty locations worldwide and we are involved from the very early design phase of the components. For example, if there is an engine manufacturer who designs a new type of engine, let's say an electronically controlled main engine, it would be very important for us to become involved as a classification society in its design process. When the ship is finished, and is to be delivered to the owner and come into operation, then another phase of work of the classification society begins. At this stage we support the owner of the ship or the ship management company to operate this ship profitably. We send our engineers, our surveyors, on board the ship several times a year to check the main components of the ship and every five years the ship has to be dry-docked, so that we can also check the surface, the underwater surface, of the ship, as well as the propeller and other equipment. This is in short the work of the classification society. We work through our worldwide network to check the work going on in more than a hundred shipyards across the world, and to help far more than one thousand shipowners and far more than five thousand supply companies. E: I understand that you do industrial surveys as well. Now, just briefly, tell us what you do in that sector and then we will come back to Iran and what you can do for Iran? HK: Yes, but let me add first that besides the maritime services I've just outlined, we also have a large research and development department and we offer a lot of additional services for the maritime industry. We offer many additional services, such as our emergency response service which offers assistance to ships that encounter casualties. They can contact us at any moment and we will rush to their help. 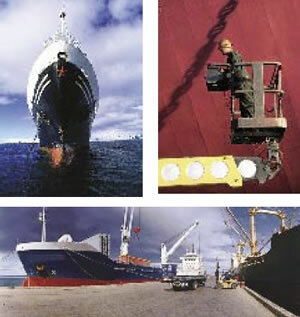 But besides the maritime services, we do offer also services for the industry, services specially for the oil and gas industry, certification services, and services for the wind energy industry, services that will operate some laboratories for materials, especially corrosion checks, and we also offer the standard management certification systems like ISO 9000-2000 and others. E: What do you think you can do best for Iran? In what area can you help us most, or rather in what area can you cooperate for mutual benefit of both sides? I understand that we are trying to build up a shipbuilding industry. Are we going to be successful, in your opinion, and where exactly do we stand at present? HK: In Iran, on the one hand we can help develop your shipbuilding industry and, on the other, your shipping companies. The growing shipbuilding industry here in Iran, as you know, is supported by us very much I think, but this is a long-term process. You should remember of course that we know lots of shipyards worldwide and we have seen different shipyards in different countries and we know that it is not possible to install overnight, a new shipyard to build highly sophisticated ships. This takes time; you need experience in this area; the production process has to become some kind of a routine affair. In Iran we support some new building projects particularly in Bandar Abbass but I think this will take time. The development of shipyards takes time as all developments of all the other shipyards worldwide have taken. E: Yes, but are we on the right track, in your opinion? Are we going in the right direction? HK: It's not easy to give an answer to your question, especially today, because just yesterday I heard that the whole management of the BA shipyard has resigned and the resignation has been accepted. So, a new management will have to be installed in this shipyard, and I think your shipping industry, and all the shipping companies in Iran are waiting to see what will happen in the next few weeks. We are very close to your shipping companies and we see very interesting future-oriented projects. For example, the new buildings of container vessels in Germany and in South Korea are quite considerable projects and we have very good relationships with these shipping companies and ship management companies as well. E: Apparently, while you have a good share of the total world market, your share of this market is rather small. Is that growing now? HK: Yes, absolutely! We have a growing share of the market here in Iran, and I think business will be growing faster and faster and it is now increasingly necessary for us to act more rapidly to support the ship companies, but we are well aware that there is always room for improvement. Today, I am sure that we have very good relationships with our customers here in Iran. E: Obviously you have great hope for the future in this market, otherwise you wouldn't take the trouble of traveling all over from Germany to Iran personally. So you must be very hopeful of an expanding market here. HK: Yes, Iran is a large country with more than seventy million people. So, I think for the whole world it is a quite interesting market as it is for the classification societies. From what I've seen so far in Iran, I must say that your shipping companies are working at a very high quality level. They are really almost perfectly organized and we are glad to work with such well qualified companies and for the future I think we can increase our market share here in Iran. I have promised the Iranian shipowners to offer seminars here in Iran and of course we will certainly do so, hopefully in the very near future.